Thank you Kellice. I appreciate your comment. Thank you Lynn. I saw it and is is terrific. Fantastic image, James. The big boulders in the foreground are a wonderful contrast to the distant mountains. 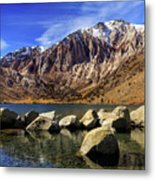 I have not yet been to Convict Lake or Mammoth. 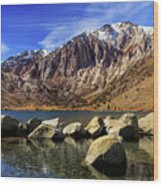 I have, however, spent a bit of time around Mono Lake, Bishop and the Eastern Sierras, in the high desert country in Inyo County, etc. Your excellent capture has convinced me to go a little farther South. KEEP IT UP! 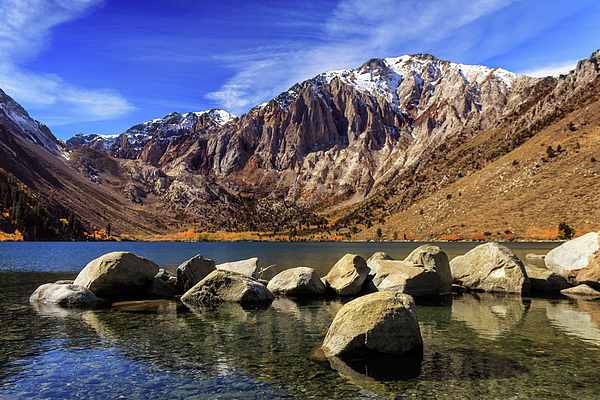 I see we both love photographing Convict Lake! Great shot James. Thanks so much for your lovely comment on my work. I so very much appreciate it. 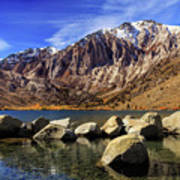 Convict Lake is located along Highway 395 between Bishop and Mammoth Lakes, California in the scenic Sierra Nevada Range. (c) James Q. Eddy Jr.